Contact Big House at Fairlea Grange on 01600 772929 or complete the enquiry form. 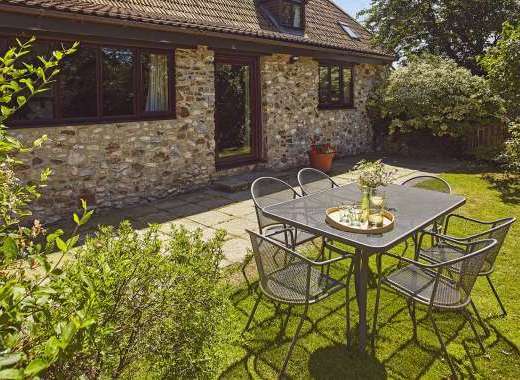 Fairlea Grange is a superb property for large groups and sleeps up to 20 people in 8 bedrooms. This impressive Gothic Townhouse is just 10 minutes’ walk from the heart of the historical Welsh market town of Abergavenny which is also known as the Gateway to the Brecon Beacons. Whether for a weekend break, a short break or longer stay, Fairlea Grange could be a great place to stay. There are two lounges, each with a warming woodburning stove and large TV with Sky TV where you can relax with friends and/or family. There is also a sun room where you can read a book or sip a glass of wine and enjoy some quiet time. The well equipped kitchen with Aga is a joy to cook in and the atmospheric dining room is ideal for catching up with the group. The bedrooms are spacious and comfortable and the 8 bedrooms can accommodate 20+ people, with an additional couple of z beds and 2 cots for babies. A number of the bedrooms feature wonderful views up to the Welsh mountains above the town. • On the first floor there is 1 double bedroom with shower, 1 king-size bedroom with en-suite bathroom and 2 family bedrooms with en-suite facilities. There is also a family bathroom on this floor (complete with 6 person sauna) and separate WC. • There are 4 double bedrooms on the second floor (one of which has an en-suite bathroom and one with its own shower). There is also a family bathroom on this floor. • All bedrooms are comfortably large, well equipped and have space for cots and zed beds. For relaxation and enjoyment, this house features a sauna, mini-gym and a games room with snooker and table tennis. The walled garden is a lovely place to enjoy al fresco dining or just sit outdoors. The warm bubbly hot tub adds to the appeal of this fantastic property and is also found within the walled garden. The owner of this property, Doctor Williams, at times stays in the basement apartment and can provide information and advice when on site. 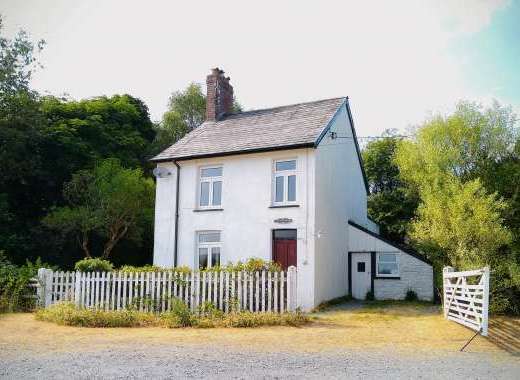 Please visit http://fairleagrange.co.uk to find out more about the holiday cottage, amenities, surrounding area and places to visit in Monmouthshire. Deposit 25% payable on booking with balance due 8 weeks before arrival. Refundable bond of £250 plus additional £100 bond for pets (no charge). Situated in the historic Welsh market town of Abergavenny and within easy reach of many of the Welsh border castles, Fairlea Grange is an imposing Gothic Town house built to a high spec with many quirky and endearing features. Up to 3 well behaved dogs, strictly by prior arrangement, no charge but additional refundable dog bond levied. Essential to bring dog bed or crate. Type of Cooker: 5 burner hob, double oven, plus 4 oven Aga with 2 hobs. Enclosed Garden: Large walled garden, lawns, barbecue area, outdoor dining furniture, hot tub. Smoking not permitted in house. Games Room: Slate bed 3/4 size snooker table plus table tennis, plus Mini Gym with rower, exercise bike and treadmill. No swimming pool but there is a leisure centre in Abergavenny. Wonderful views of the Welsh mountains and surrounding countryside and situated by the Brecon Beacons National Park. Close to many of the historic Welsh border castles including Skenfrith, Grosmont, the fairy tale Castle Coch and wonderful raglan castle. The town hosts regular food festivals, has local theatre, climbing center, local markets and a museum as well as many individually owned small shops,restaurants and interesting pubs. See http://www.abergavenny.org.uk/castles.htm for more information. Nearest Train Station or Airport: Abergavenny train station 5 minute walk. Recommended Places to Visit: Chepstow Castle, Brecon Beacons, Raglan Castle, the city of Cardiff, Monmouth, Wye Valley. Annual Events: Food Fairs, Christmas Markets, Three Peaks Trial, National Eisteddfod, Cycling events, Steam Rally etc..... Also see http://www.abergavenny.org.uk/events.htm for full list of events. Recommended Places to Eat Out: Plenty of wonderful local restaurants and pubs within walking distance. Local Sports: Horse riding, walking, canoeing, climbing center, golf. Fairlea is a very special place in a special town. It was built by Abergavenny's most famous builder in 1880 and is full of character with elaborate ceilings, carved stone fireplaces, stained glass windows and painted clay tiled floors. It oozes atmosphere and charm. With the Grange being located in the heart of this wonderful market town, with its legendary Food Festival, you won't be bored for a minute. If you want a holiday indoors catching up with family and friends it's perfect: so much space on site and so much to do you need never leave (and if you do, imagine coming home to the sauna and hot tub - wonderful). However, if you're active and want to be out and about, it's equally good: the Brecon Beacons are right on the doorstep for amazing walking, or you can spend time in town sampling the market, museum, castle, shopping, vineyard, climbing centre, Hidden Garden, cinema, theatre etc. the list goes on. Ample pubs and restaurants within walking distance - no need for a designated driver here. Fairlea Grange is the perfect choice for walkers, foodies, families, and friends and once you've been you'll want to return time and again. Croeso i Gymru as we say round here (Welcome to Wales! ).